People decide if they are interested within 10 seconds of seeing a video. In advertising, that leaves no time for anything but the best. Videos on TV and Web need to be compelling from the start. Fortunately, there is a solution for catching your audience’s attention- professional video production. Having high quality videos made is a great way to create rich content for your business. We have all the skills necessary to turn your video dreams into a reality.  Killerspots creates custom videos built around your brand, your objectives, and your customers. We make you stand out with entertaining, effective videos. In web marketing, content is key. A video is one of the most effective ways to grab attention. The screen we all know and love. High production value will make your message shine. We can help you come up with a script, find talent, and even distribute your commercial. When done well, TV commercials can bring in a lot of revenue for your company. Introduce yourself and your brand with a documentary video. You build your company every day. Your customers love to see real people doing real work. Documentaries are more authentic than a scripted video. Showcase your unique personality and passion in an engaging video. Sleek, modern and highly effective. Motion Graphics videos are a perfect blend of stylish graphics and text. Our motion graphic videos can make any topic come to life! Whether it be your company’s mission statement, customer reviews, software demonstrations, or even descriptions of services. Graphics are a great way to display your ideas to your audience. Do you have any questions about video production?